If you haven't picked up a Valentine card for your someone special, check out this printable valentine card Danyelle created before you head out to go card shopping. 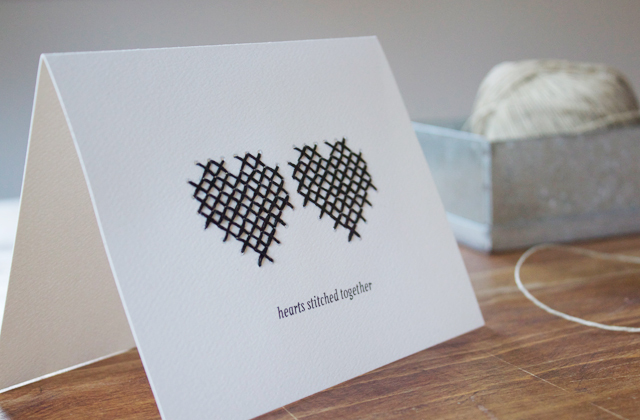 With just a little embroidery floss you can personalize this sweet card with your guys favorite color. Wow,It look so beautiful.Heart stitch on the cards.I really like this cards.I enjoy this wonderful blog.